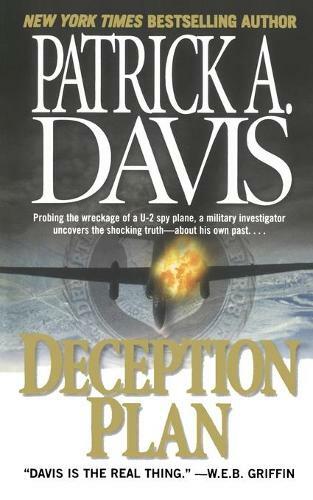 When a U-2 spy plane goes down in a fiery heap, the pilot's death is a tragedy-but it's no accident in this gripping military thriller from New York Times bestselling author Patrick A. Davis. U.S. Colonel Ed Coffin is sent to South Korea, the land of his birth, to lead the most important and grim investigation of his career: a secret U-2 spy plane has crashed under highly suspicious circumstances. A former U-2 squadron commander, Coffin is teamed up with his former lover, the irrepressible OSI investigator Marva "Mother" Hubbard, and together they learn that the plane's pilot was specifically targeted for death-but why? Navigating a geopolitical web strewn with murder, ambition, and betrayal, Coffin is soon embroiled in a desperate race for survival. But Coffin is also on another, more personal mission-and one way or the other, it may be his last. "Davis is the real thing."